Do you wonder what it is like to get a ZO Controlled Depth Peel? Watch a patient receive one and see Lauri Kane’s recovery process after her peel and Sculptra. 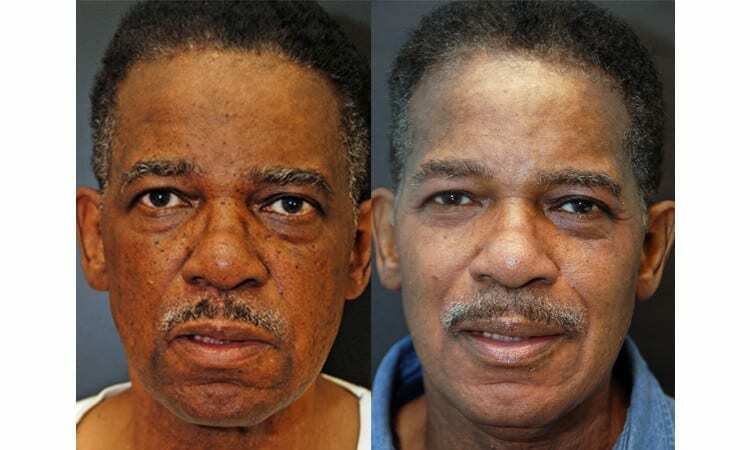 Whether you’re looking to improve the health of your skin or you simply want to feel pampered and gain a special glow, we offer a wide variety of facial rejuvenation treatments for Baltimore, Maryland men and women at the Center for Cosmetic Surgery & MediSpa. With choices like the Dr. Obagi ZO 3-Step Peel®, the Retin-A Peel®, glycolic acid masks and peels and micro facials, we have options for anyone whose goal is softer, healthier skin, including people of African-American, Hispanic, Asian, and Caucasian backgrounds. Maybe you know which treatment will give you the results you’re seeking, or perhaps you need some help deciding. Request an appointment with us and we’ll work together to help you look and feel great. Nothing can make you feel pampered quite like a facial. A superb way to remove toxins and impurities from your skin, facials are a tried-and-true method of deep cleansing, exfoliating, and massaging the head, face, and neck. Elegant treatment provides micro-exfoliation to remove surface debris. The TRIPLE ACTION of the lactic acid, ZO Stimulator Peel and Aloe provides brightness, clarity and hydration. Achieving Dual Exfoliation using the microderm treatment combined with a glycolic peel to enhance tone and texture. The perfect duo solution to a brighter skin tone. Ideal for Sensitive Skin or Mild Acne. Begin a journey to relaxation. Includes face, neck, chest, shoulders and hands. Massaging with anti-oxidants and peptides offers a calm and nourishing treatment. Improve skin tone and texture by invigorating cell turnover and collagen stimulation. TOTAL REJUVENATING EXPERIENCE. Ideal for Aging Skin, works to stimulate and exfoliate, sluggish dull skin combined with a firming mask for additional toning and tightening. A soothing hyaluronic acid serum, retains skin vital moisture. Formulated to increase circulation and nourish the skin. Marine-derived ingredients offers a fresh radiant glow. Reduce stress on the back by combining touch therapy, the benefits of therapeutic massage and anti-oxidant therapy to help detox the skin and balance skin renewal. 50 minutes. Warmth to stimulate the skin and cooling components to reduce inflammation for the ultimate glow. A clinically active treatment system designed to rapidly and safely resurface the skin. Active serums are used to reduce fine lines and wrinkles, to smooth, soften and encourage cellular renewal and nourish the skin. A chemical peel is an excellent way to refresh and rejuvenate the appearance of wrinkled, spotted, or otherwise aged skin. A range of chemical peels can contain one of the following acids: glycolic acid, trichloroacetic acid (TCA), Retinol or salicylic acid, which is applied to the skin to remove damaged outer layers and expose underlying fresh, smooth, unblemished skin. Glycolic peels are great for superficial treatment, and they can be a good option for patients with acne as the solution lifts layers of skin that block pores. With TCA peels the concentration can be varied, giving them more flexibility to treat a variety of facial conditions. The Dr. Obagi ZO 3-Step Peel® is a breakthrough in skin restoration. It’s an exciting new way to refresh your skin by removing wrinkles, age spots, and scars while restoring elasticity. The peel solution, trichloroacetic acid (TCA), essentially removes the outer layers of the skin, exposing the undamaged layers underneath. Skin that is prone to outbreaks of acne often responds well to salicylic acid and/or Retinol. These acne treatments can be especially effective for teenagers’ mild acne breakouts. Dr. Kane and his staff combine acne peels with in-depth skin care follow ups by his estheticians. Ideal for the individuals looking for that immediate glow to their skin. Perfect for birthdays, special occasions, events, where you want to look radiant, but can’t risk any redness, flaking or peeling, and don’t have any down time. Non-invasive superficial gentle enzyme peel utilizing a novel approach with the newest AHAs, Mandelic Acid and Malic Acid. This facial includes hydration and Vitamin C treatment. Our newest, fastest medium depth peel that promises bright beautiful youthful skin within a week. Great for anti-aging, the VI Peel is a light resurfacing peel that reduces fine lines, wrinkles of the face, and lightens brown discolorations and pigmentation problems. A powerful exfoliation to help reverse the effects of sun damage and acne. VI Peel contains a synergistic blend of gentle, but powerful ingredients suitable for all skin types and ethnic backgrounds. No down time, minimal recovery and virtually painless. VI Derm Skin Products will be provided during the easy 4-5 day recovery period. Patients experience beautiful glowing and tighter skin within one week. This is one of our favorite choices of peels! A series of 3 peels are recommended. No matter what your skin type and needs may be, if you live near Baltimore, Maryland, facial rejuvenation is close at hand. At the Center for Cosmetic Surgery & MediSpa, we welcome African Americans, Asians, Caucasians, and Hispanics. In fact, we have many years of experience designing individualized treatments for people of all backgrounds. Call us soon at 410.602.3322 or request an appointment online. We look forward to working with you in our offices on Reservoir Circle in Baltimore, serving Annapolis, Delaware and southern Pennsylvania. Any changes to your appointment require 24 hours notice or all specials, discounts or coupons will be forfeited.